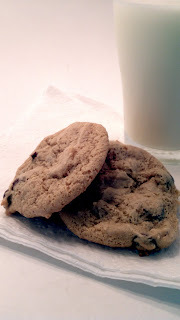 Cooking With My Food Storage: Can I make chewy chocolate chip cookies with butter powder? Can I make chewy chocolate chip cookies with butter powder? I"m a cookie person. I think most deserts are fine, but cookies are my desert. I am particularly found of chocolate chip cookies. I like them chewy. But I have found that is not what every one wants. I have found that most people like their cookies one of three ways. Which is your favorite? My husband is also a chewy, my son prefers puffy (him and the old ladies I know), and my daughter prefers thin. 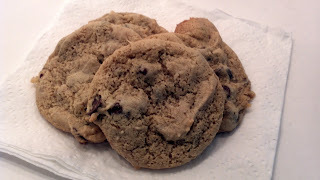 When I started baking with powdered butter chewy chocolate chip cookies were my top priority. Don't worry if you are in one of the other camps stay tuned puffy and thin cookies are coming. When using butter powder to make cookies there are two things that really make a difference. 1. Creaming the butter and sugar together takes a LOT longer than you think it should. 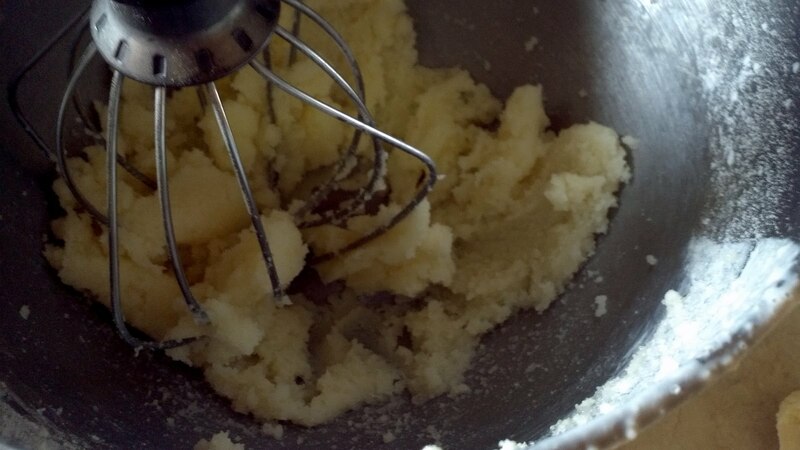 Keep creaming until the butter sugar mixture really is creamed not just mixed. 2. I like to add 1 tablespoon of vegetable oil. I think it improves the texture of the cookies. Cream butter and sugars in mixing bowl (this will take longer then you expect but it is a vital step, don't stop until it really is creamed) Add egg, milk, vegetable oil and vanilla and mix until well combined. Slowly incorporate the flour, salt, and baking soda until combined. Stir in chocolate chips. Chill the dough, then scoop onto a parchment lined baking sheet. Bake for 14 minutes. Do not over bake. Check cookies ever 5 minutes. Rotate pans for even browning. Cool completely and store in an air tight container.